A board certified specialist in family medicine, Dr. Woolverton is in practice at Swansea Family Practice Group in Swansea, and is on the active medical staff at Charlton Memorial Hospital. He earned his medical degree from Michigan State University’s College of Human Medicine in East Lansing, and completed his residency in family medicine at Memorial Hospital of Rhode Island, a teaching affiliate of Brown University Medical School. Dr. Woolverton is a clinical assistant professor in family medicine and a clinical instructor in community health at Brown. 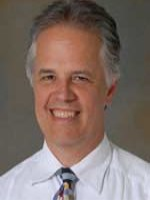 He is a member of the American Academy of Family Physicians and the Massachusetts Academy of Family Physicians.